Winner of the CBHL Award of Excellence California is one of the most ecologically rich and diverse regions of North America, and home to hundreds of species of mushrooms. In California Mushrooms, mycologist experts Dennis Desjardin, Michael Wood, and Fred Stevens provide over 1100 species profiles, including comprehensive descriptions and spectacular photographs. Each profile includes information on macro- and micromorphology, habitat, edibility, and comparisons with closely related species and potential look-alikes. 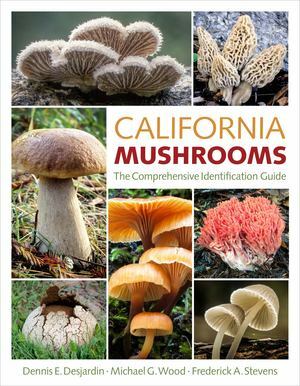 Although the focus of the book is on mushrooms of California, over 90% of the species treated occur elsewhere, making the book useful throughout western North America. This complete reference covers everything necessary for the mushroom hunter to accurately identify over 650 species.